What’s an RV inverter and do you need one? 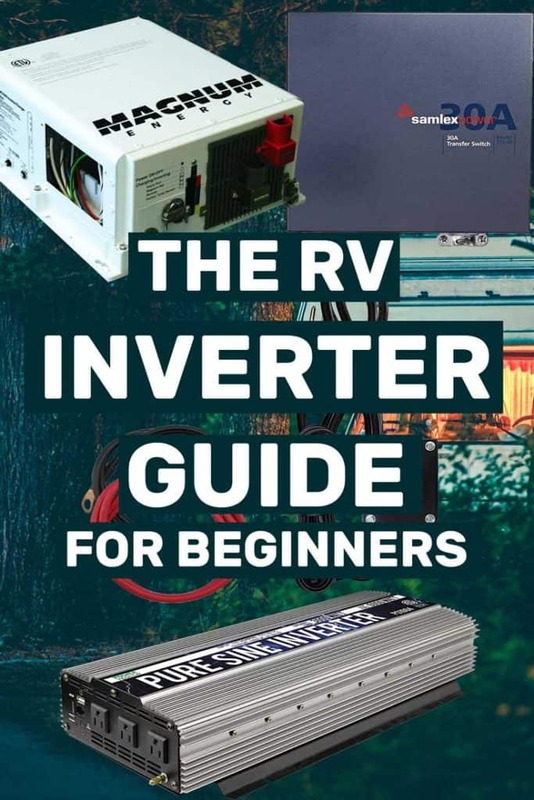 How to choose the right inverter for your RV and how to go about installing it? RV expert Gary Brinck shared with us this concise guide on the topic. You may have noticed that the 120v wall outlets in your RV only work when plugged to shore power or when using a generator. That probably includes the microwave and tv as well. That means your RV is not equipped with an inverter. The inverter is an electronic module that gives the capability to power things that normally require 120vac shore power (when not using a generator). Having an inverter is hugely convenient if you like to camp off the power grid but still want to watch tv or charge up your phone. Mid and high-end RVs often come with inverters already installed, serving just a few items or maybe even all the outlets in the RV. The good news is that if your RV doesn’t have an inverter, you can add one! Sounds attractive, right? However, except for the simplest needs, adding an inverter is a major change in how the 120vac system in your RV works. In most cases, not what you would call a “plug ‘n play” upgrade. How does an RV inverter work? An inverter uses the RV’s 12v batteries to supply the power and inverts the battery 12VDC to become 120VAC power for the outlets. In theory, you can power everything with a large enough inverter, even the air conditioning. However, the inverter cannot provide more power than the battery bank that supplies it. The laws of electricity are that increasing the power output from 12v to 120v (a factor of 10x increase) causes a 10x increase in the input amps (current) as well. That means a high wattage appliance like an a/c unit or hair dryer that draws a lot of amps will pull a huge amperage from the batteries. For example, a 1500 watt appliance uses 12.5 amps @ 120v, so it will draw a minimum of 125 amps from the batteries when inverting from 12v to 120v. There is also a power loss of around 10% when inverting. A rule of thumb is that the inverter will draw about 10% more battery amps than actually needed by the power conversion. This is called the efficiency of the inverter and 90%-95% is typical. Since a typical RV battery can supply only 50-70 amps for a mere hour, you can see that batteries quickly become the bottleneck if you try to do too much. The cost, weight, and space needed for a large battery bank are prohibitive for most RV’ers. For practical purposes, you will want to limit what things you expect to power. Getting An Inverter? Plan Ahead! There is a lot of planning and decision-making to do before you can start buying gear. One of the biggest up-front efforts is determining what you expect to power via the inverter and estimating just how much inverter capacity you will need to do that. Another key decision is how you will wire the inverter into the present system and whether it will be an add-on or a replacement for the existing converter/charger. These decisions have a significant impact on the cost and effort for the upgrade, so you may well decide to live with less than your ideal solution. Let’s take a deeper look at them. The obvious answer is everything, all the existing outlets, and appliances. Alas, that involves the most change, requires a very large battery capacity and has the greatest cost. At the other extreme is simply adding a few outlets that are dedicated to the inverter only. That approach is simple and effective where your need is only to charge phones and maybe watch a little TV. In between these extremes are a variety of partial solutions in which only some of the 120vac branch circuits are powered, according to your needs. For example, you might want to power the refrigerator circuit if you use a dorm or apartment size electric fridge. Sometimes it is easiest to use multiple inverters, e.g. one for the fridge, one for entertainment gadgets (TV, DVD, etc), and another for the galley appliances. This allows smaller inverters, possibly located near the things that need power. Multiple inverters can share a single battery bank. How will you re-wire your RV around the new inverter? One of the major preplanning items will be how to get power from the inverter module to the outlets and appliances you wish to power. That will be highly dependent on the layout of your RV and what is to be powered. Give thought to what things you really need to power via inverter vs. the things that would be nice-to-have. You will probably want to re-visit this multiple times as you also consider the size & cost of the battery bank and the cost of the inverter itself. An inverter can be a standalone unit or an integrated model that replaces the existing converter/charger in your RV with a combo inverter/converter/charger. The integrated type is a good choice if you have an older converter/charger and want to upgrade that as well, while the standalone type works well if you are adding an inverter to a modern multi-stage charging system that is large enough to handle the size of battery bank needed. In either case, installation is easiest if the unit has an internal automatic transfer switch (ATS). That makes re-wiring the 120v system much easier. More on an ATS later. Here’s an example of an integrated inverter/charger. 2. Size: How Big Should The Inverter Be? Inverters are sized in watts of output power and priced accordingly. A 2000-watt inverter can supply up to 2000W at a time, presuming you have enough batteries to support it. So what will 2000W do? A standard wall outlet is rated for up to 15A @ 120v, which equates to 1800 watts (max). You can find the watt or amp ratings for most devices on the label, but you can get a general idea from tables available online. Here is one example. Most RVers find that 1000-2000 watts is an adequate range for their routine needs. However, if you choose to power only things like phones and laptops, it is likely you will only want 500 watts or less. For those who want to power more things, know that an RV with 30A shore power is limited to 3600 watts and an RV with 50A shore power can use up to 12,000 watts. Again, battery size and cost is usually the limiting factor on that. To estimate inverter size you will want to learn a little about electrical power. Sometimes you will see specs in Watts (wattage) and sometimes in Amps (amperes). In its simplest form, Watts = Volts x Amps. If the label on an appliance states it uses up to 10A @ 120v, then you know it is a 1200 watt appliance. If the label merely says it uses 1200 watt s, then you know it uses 10 Amps @ 120v. Try to estimate what appliances you will use and which ones might need to run concurrently, then add up the watts they will need. Inverters are rated by both “Peak” and “Sustained output”. “Peak” is always the higher number and it refers to a relatively brief burst of power, anywhere from several seconds to 5 or more minutes (varies by make & model). Some appliances take some extra power when they first start up, e.g. a microwave or anything with a motor or compressor (including a residential style fridge). If you will be powering this type of appliance, an inverter that has a relatively high Peak rating will handle the load better. The sustained output is for hours at a time. Always choose an inverter that has a sufficient Sustained power rating for your normal power needs. 3. What does Modified Sine Mean? The best inverters are “pure sine”, meaning they exactly imitate the standard power that comes from an electric utility via shore power or from a generator. Modified sine is only an approximation of that standard and some appliances don’t work well with that. A few may not work at all. Some examples of what may not work well or at all are appliances with timers (coffee makers, digital clocks), most electric blankets and heating pads, and anything with a motor (power tools, blenders, etc). Modified sine inverters were created years ago as a cost-saving solution. That was back when pure sine inverters were extremely expensive. Modern electronic technology has largely overcome that cost difference and pure sine inverters are now available at reasonable cost. I suggest avoiding modified sine inverters unless you are sure that everything you wish to power will work with it. It’s not worth the aggravation to worry about compatibility. Installing the inverter itself is relatively simple. Basically, the inverter is wired directly to the house batteries with large battery cables. The complications come in routing the inverter 120v output power to the places where it is needed, either new outlets or existing ones (or both). For existing outlets & appliance, the circuit wires that feed the outlets or appliances need to be disconnected from the existing load center (breaker panel) and connected to the inverter. But you still want those circuits to work on shore power, so you need something to switch them between the inverter and external shore power. Typically the inverter output is wired to a separate power panel that in turn feeds power to the existing outlets. Power from the main breaker panel is also routed there and an auto transfer switch controls which source sends power to the outlets at any time. Installing new outlets that are always & only powered via an inverter is the simplest method. It can be as simple as an extension cord from the inverter outlet plug to the place where power is needed. A more elegant method would be to wire outlets, but that can be challenging in an RV where walls are thin and running wires is tough. Some owners use surface-mount wiring to avoid that. Part of the pre-planning is to figure out just how to do this. There are a few “Musts” to be aware of in the installation. The wiring MUST be such that it is impossible for shore power and inverter power to ever attempt to deliver power to the same outlet at the same time. Failure to do so will result in heavy damage and possibly fire, so don’t rely on memory or manual switching to prevent that. An automatic transfer switch is used to shift the power source from shore cord to inverter. With a standalone inverter, you MUST make sure the converter/charger never receives power from the inverter. (The integrated type inverter/charger handles this internally). 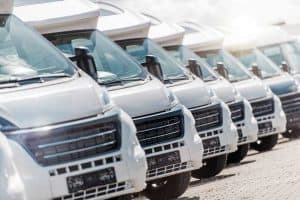 Depending on your electrical knowledge and skills, you may want to leave installation to a professional who knows both RVs and electrical wiring. What is an Auto Transfer Switch? An Auto Transfer Switch (ATS) is a device that senses the presence or lack of power at a source and automatically changes to an alternate source. In this case, your RVs shore power source is connected to one side of the ATS and the inverter to the other. When shore power is present, the ATS selects that and “passes through” that power to the various outlets. When no shore power is present, the ATS switches to the inverter and sends that power to the outlets. You can do this switching manually with a double-pole-double-throw switch, but the ATS is both more convenient and easier to set up. Here’s an example of an auto transfer switch sold by Amazon. Modern inverters are solid state electronic devices, so they don’t wear out and typically last many years. They are, however, susceptible to high heat and moisture. Most of them have a cooling fan that may require cleaning if the inverter is mounted in a dusty area. Inverters can also be damaged by the acid fumes from flooded cell batteries, so best to mount the inverter away from the batteries or use sealed batteries such as the AGM type. Are there other ways to stay off-grid yet have access to 120v power? Yes – the most common is a generator. Essentially a generator takes the place of the electric utility and you plug your shore cord into it. The generator may be a modest size, maybe just large enough to charge batteries and run a few outlets, or it might be big enough (have enough watts) to power the whole RV just like normal. Of course, a big generator is heavy and large, requires fuel, and makes quite a bit of noise. An inverter is silent. Some may suggest that solar is an alternative, but that’s not true. Solar cannot directly power any 120v device, nor can it reliably power 12v devices. Solar panels produce direct current (DC) and the amount and voltage vary with the available sunlight. The practical way to utilize solar is to treat the solar panels as a battery charger and use battery 12v to run devices and power an inverter. Gary Brinck has been camping and RVing for 30+ years and has owned everything from pop-ups to Class A motorhomes. He is active on multiple RV sites, a long time staff member at RVForum.net (over 60,000 topics posted!) and has authored several RV-related articles for magazines and websites. 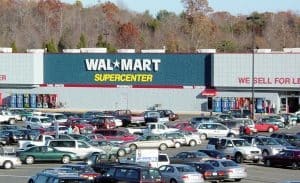 Previous PostWhere Can I Park My RV Long-Term?